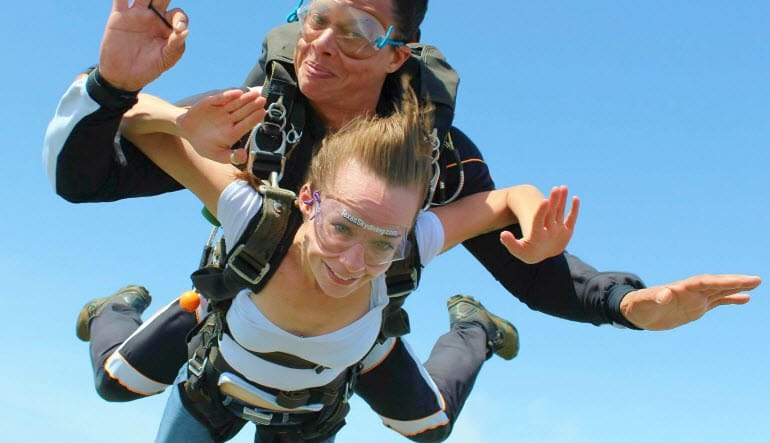 Take a ride with an experienced jumper and feel the exhilaration of skydiving. 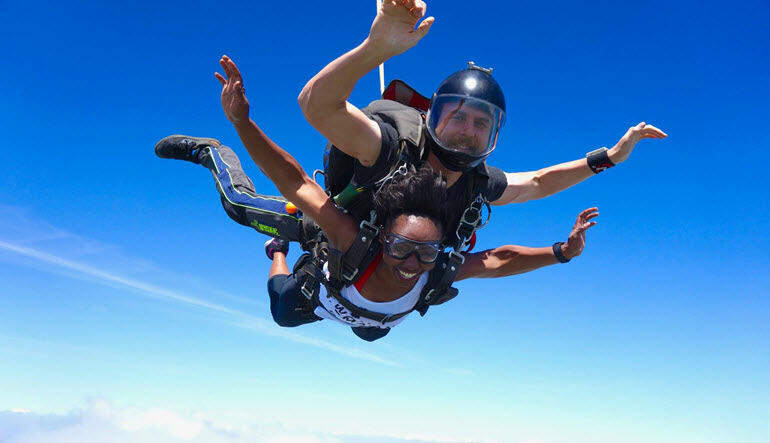 A tandem skydive in Texas is the perfect way to join an elite group of daredevils! Take a ride with an experienced jumper and feel the exhilaration of skydiving. 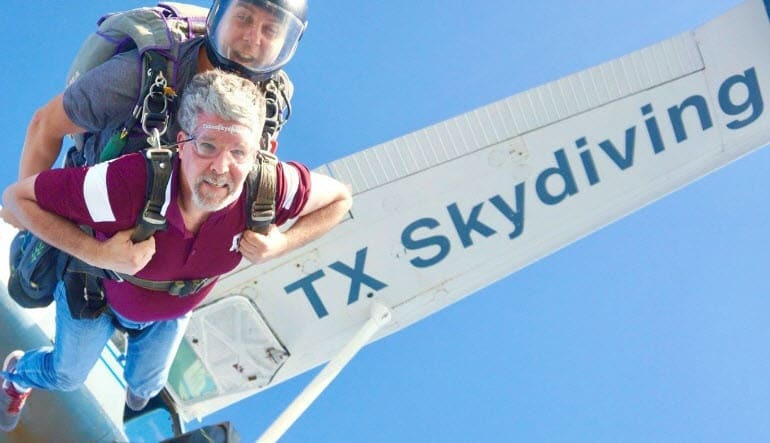 A tandem skydive in Texas is the perfect way to join an elite group of daredevils. Jump out of a perfectly good airplane, reach speeds of up to 120mph and get bragging rights for a lifetime. A tandem master will attach you to a harness and he’ll be wearing the ‘chute for top safety and so you can enjoy the ride. 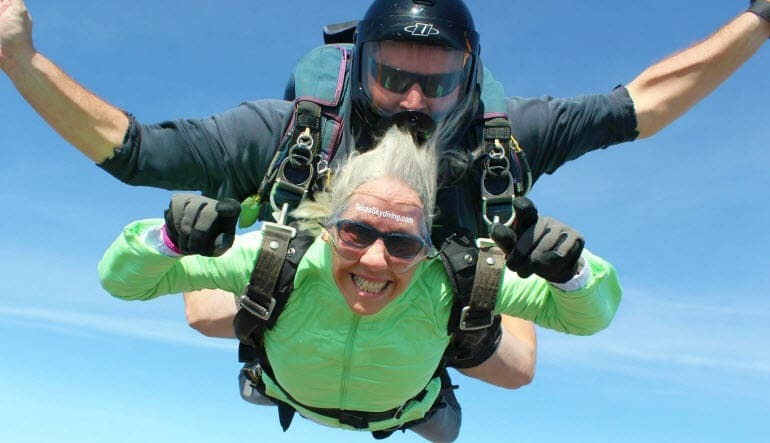 The total skydive experience lasts 2-3 hours but creates memories that last a lifetime. For pure adrenaline in the heart of Texas skydive with this top dropzone. This was my wife and I gift for our 30th wedding aniversary. We loved the jump so much we are actually planning another jump. The staff was very knowledgeable and made us feel super relaxed. Thank you. The experience was so much fun. Nerve wrecking but all worth it. Love the guys, so accommodating. They make you feel safe. I had a blast. My son, Dillon, said it was the best experience of his life!! LOL He told the staff he would be back in two weeks! I think he is hooked!